Enjoy beach horseback riding , trail horseback riding, wagon rides, and buggy rides in Myrtle Beach and the Grand Strand. You can ride a horse on the beach or on our trails. We also offer wagon and buggy rides! 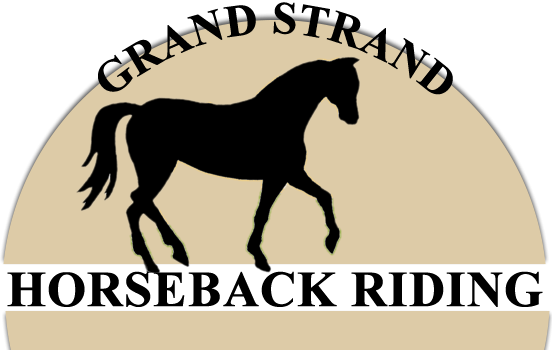 Grand Strand Horseback Riding is your one stop shop for equestrian adventure along the Grand Strand and Myrtle Beach. From November 24 thru February 28, horseback riding is allowed on the beaches across the Grand Strand / Myrtle Beach area. Horseback riding on our 100+ acres of trails is offered year around. Kick back and ride a wagon or buggy around the Grand Strand farms and trails. From November 24 thru February 28, wagon and buggy rides are offered on the beaches across the Grand Strand / Myrtle Beach area.